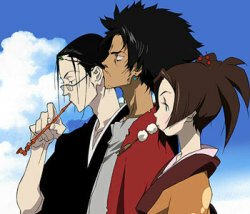 OtakuChic.com is a blog owned by Shirley Siaton-Parabia on anime, manga, gaming and related aspects of Japanese and Asian popular culture. I have been an anime (basically, Japanese animation) since I was in my tween years and continue to be so well into my adult years. I grew on the Dragonball saga, Ranma 1/2 and Yuu Yuu Hakusho. I first forayed into the arcades to play Mortal Kombat when it was launched more than two decades ago. My favorite anime and/or manga are, in no particular order: Fushigi Yuugi, Hunter x Hunter, Virtua Fighter, Hellsing, Samurai Champloo, Petshop of Horrors and Ninja Scroll. I love playing Assassin’s Creed, Virtua Fighter, Street Fighter and, of course, Mortal Kombat. OtakuChic.com has been online since 23 July 2017 and part of The Honor and Blood Network. My main personal blog is located at Shi Bytes. The domain was purchased at NameCheap on 24 May 2016. 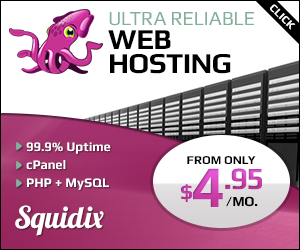 Web hosting services are provided by Squidix. Both services are highly recommended! This blog is powered by WordPress. The following plugins are used: F2 Tumblr Widget, Instagram Slider, JetPack and Remove Category. Our initial version design is entitled Otaku in the Pink, with very special thanks due to City House Designs. Creators and source/s of articles, images and other resources are always credited and/or linked back, whenever available. Brands, products and trademarks mentioned are property of their respective owners. We are not responsible for the content of their own websites. Donations for the upkeep of this blog and its associated sites are very much welcome through PayPal. All original content in this domain © Shirley Siaton-Parabia, unless stated otherwise. Please contact us if you wish to reproduce/repost our articles online or offline.